Is it true that the book is based on something that really happened to you? Based on it, yes. There is a lot of biographical stuff in there and certainly the circumstance in which we ran away is pretty much as it is outlined in the book. Just like Jack, I got expelled from school, for being a bad boy. I didn’t immediately drive off to London. I had to find a job, fast, because my dad was strapped for cash. So I went out and got the first job that I could, which was working in the civil service. It was pretty horrible. It was worse than school. One morning, I walked out. That’s when I got the train back up to my old school. I met my best friend, Stephen, at the art department and I told him that I was running away to London. We were playing in a band at the time and he said ‘I’m coming too.’ That’s how we ended up sitting in that beat up old van, pursued by Stephen’s dad and my dad. Just like in the book. A well meaning friend, whom we had confided in, ratted on us, and the two dads chased us down the motorway, but we turned off and we actually spent the night in a cemetery. A lot of that background stuff – the early days, the getting together, the band, the gang running riot at the tennis club – all that was very much based on things that happened to us. Most of the London end of the book is fictitious, but we had a rough time there. We were running around agencies trying to get someone interested with, of course, no luck at all. We had a rough time: sleeping on station floors and all sorts of horrible circumstances. So we ended up heading back. You paint a vivid picture of 1965 Glasgow – is that based on your memory of the city at the time? Very much so. Jack’s family background, his mother, her disappointment with life, her father’s refusal to let him go to art school… they were very much based on my own mother. That period in the mid-60s is very vivid in my recollection. I turned 14 in 1965, but we started playing in a group a bit earlier, when we were 11 years old. We progressed from just a bunch of kids on a couple of acoustic guitars and a snare drum. It took about five years to become Scotland’s top touring band; we were a seven piece brand with a brass section and we played five nights a week. We were touring all over Scotland and north of England. I was still at school, which is really what got me into trouble. When did you realise that this part of your history was ripe for a novel? For years, I had this idea that a bunch of kids who are in their teens run off to London, and they would make a return trip when they were old men. It was just a kind of idea that I had in my head, but I have never come up with a motivation for why they would go back. In 2013, I was en route from France to the Hebrides with a French TV crew to film a documentary. We got stranded overnight on an unscheduled stop in Glasgow. It was a Saturday night, in the middle of July. I woke up very early next Sunday morning. It was one of those beautiful, sunny, painfully blue skied days. There was nobody around of course, except for those people who were still recovering from the night before. I got up and went off on a journey of recollection around Glasgow. I went to all the places that I used to know or worked for, to the little landmarks of my life. I ended up in Central Station, which had played a large part in my running away story. So there I was that morning, looking at the platform. Nothing much has changed really at Central Station during all those years. At that moment, it just clicked in my head, why they would go back, what the motivation would be. The whole story just flooded my head at that point. I spent the end of 2013 and the beginning of 2014 doing research and developing the story. I got a 1965 AA road map of Britain – there was no M6 at that point – and I followed the exact route that the boys would have taken all the way down to London. It was a huge amount of fun. Have you ever wondered what would have happened if your stint in London had turned out differently? Personally, I don’t really have any regrets. As a musician, I would never have been good enough. I think in life you have to be aware of your own limitations. When I was at school, I initially wanted to go to art school. All my friends were in the art department. Then a realization came to me over a year or two, looking at what people around me were doing, the works that they were producing. I realised they were much better than me. In a way, with music, it was the same thing. I love music, I love playing music and I love playing with a band, but in my heart I knew that I was not good enough to actually make it as a professional musician. All that time I had been writing, writing, writing. That was the thing that finally had surfaced as being what I knew I really wanted to do. I'm happy that this is the road that I went down. Why did you choose young Ricky [Jack’s grandson] to drive the friends to London in 2015? I wanted to explore that attitude that young people have to old people. It's not only applicable to the current generation, but it goes back to the human condition. Young people tend to be very dismissive of the elderly, without any real appreciation of the lives they led. So many people have led such incredible lives – loves won and lost, wars fought – and yet are seen as just an old person sitting in a chair being boring. I wanted to have Ricky’s eyes opened. I wanted him to be on the trip with the old boys, because he was going to have an appreciation of what old people have, who have led interesting and valuable lives and who deserve all the respect and appreciation of the younger generation. What does your friend Stephen think of the book? He loved it! Stephen and I were best friends from when we started school together at age four. Then we started the band together when we were about 11. Now he is retired and he lives full time down in the south of Spain; I’ve got this apartment there, where I spend the winters. Last year we got together and we thought ‘Why don’t we write some songs and record them?’ When we played in a band, we never wrote our own material, which you really have to do to be successful. We decided we would write songs just from the heart, telling the story of our lives. So we wrote and recorded an album in 2013, which we released in 2014. Funnily enough, it is called Runaway. The title track is called 'Runaway' and it is about the actual running away that the two of us did. That has been enormous fun to do. Runaway is out now, published by Quercus. Listen to Runaway the album at pennandmay.com. 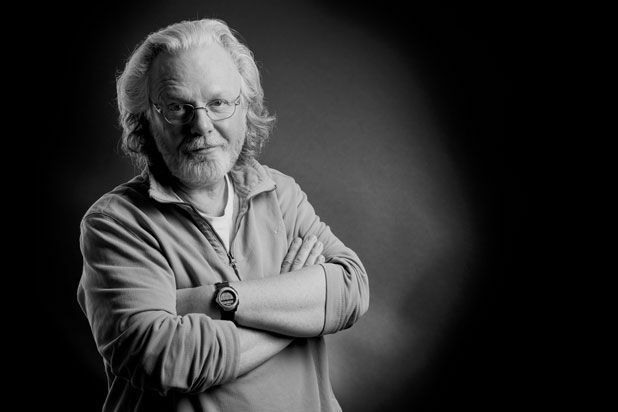 Peter May talks about his new crime thriller, I'll Keep You Safe. May is the author of a number of series, including the Lewis trilogy, the China thrillers and the Enzo files. His awards include the Deanston Scottish Crime Novel of the Year (Entry Island) and Barry Award Best Crime Novel (The Blackhouse).